For four decades, the Moritz name has appealed to drivers from Dallas to Arlington to Grapevine, and at all points in between. And why is that? From our perspective at Moritz Kia Dealerships -- now with locations in Ft. Worth, Hurst and Alliance, TX -- it has something to do with how we approach our responsibility to motorists in our area. Our three prime locations allows us to serve customers from Benbrook, Crowley, Weatherford, Burleson, Saginaw, Mineral Wells, Arlington, Euless, Bedford, Mid-Cities, Haltom City, Keller, Colleyville, Grapevine, Irving, Dallas, Mansfield, Denton, Flower Mound, and countless other communities all throughout the area. At Moritz Kia Dealerships, we are devoted to each and every one of our customers. We want to deliver you with the best car-buying experience possible, and we are ready to make a promise to you! In many ways, an auto dealership is like an actual vehicle; no part can properly function without the other. That’s why, at Moritz Kia Dealerships, whether it’s management, sales, service, or finance, we work together to ensure that each visitor to our dealerships receives a level of satisfaction that doesn’t merely get a passing grade. When we say that we treat each visitor like we’d treat family, it isn’t just lip service. Our families work here, our families shop here, and our families live near here. Turns out, great service is what happens when you strive to make customer the lone priority, a notion that has served us well for more than four decades. 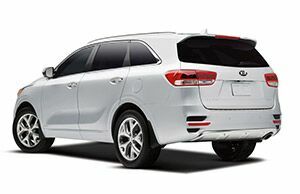 As a licensed seller of models such as the Optima, Soul, Sorento, Forte, Sportage, Sedona, and the exclusive Kia K900, we welcome you to Moritz Kia Dealerships. We’re glad you found us, and we look forward to exceeding your expectations for years to come.